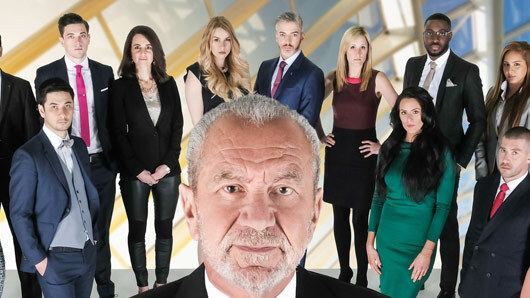 The Apprentice spoilers: Which candidates crumble under the pressure of the interviews? It’s time for that one task the candidates dread but viewers love to watch: The Apprentice interviews air tonight. Five candidates are currently left standing in the race to win Lord Alan Sugar’s £250,000 business investment but by the end of tonight’s penultimate episode, only two will remain to battle it out in Sunday’s final. Alana Spencer, Courtney Wood, Frances Bishop, Grainne McCoy and Jessica Cunningham will be given a mere 24 hours to prepare for the grilling before they are taken to one of London’s tallest offices, the Leadenhall Building. The final five better memorise every meticulous detail of their business plan and resume because Claude, Claudine, Mike and Linda will be looking to nitpick anything they can find. And they certainly won’t be showing any mercy should the candidates decide to crumble. In one scene from tonight’s show, Claudine is not the slightest bit amused when she reads Courtney’s questionnaire, in which he admits that he would ‘fart in a lift full of supermodels’ if he knew he wouldn’t get caught. Oh dear. Elsewhere, Frances leaves Linda lost for words in their interview while Claude says of her business plan: “It looks like it’s been thrown together, it’s appalling”. Clearly, no one is safe. But who will be able to keep it together and impress the almighty Lord Sugar before they return to the boardroom? The Apprentice continues tonight at 9pm on BBC One.